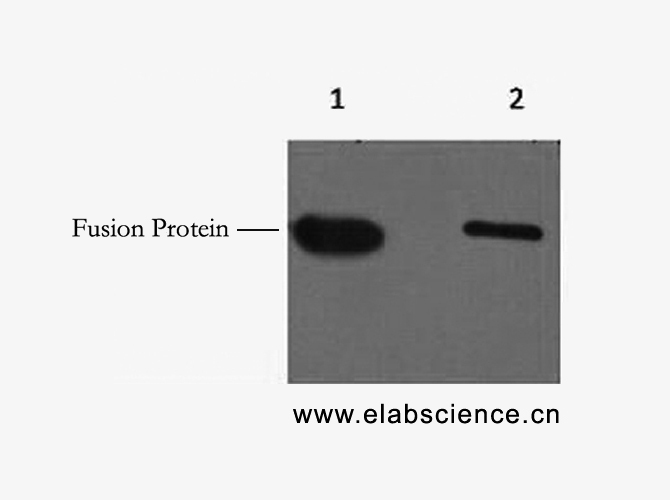 Western Blot analysis of 1ug Myc fusion protein using Myc-Tag Monoclonal Antibody at dilution of 1) 1:5000 2) 1:10000. Immunofluorescence analysis of 293 cells transfected with a Myc tag protein tissue using Myc-Tag Monoclonal Antibody at dilution of 1:2000. 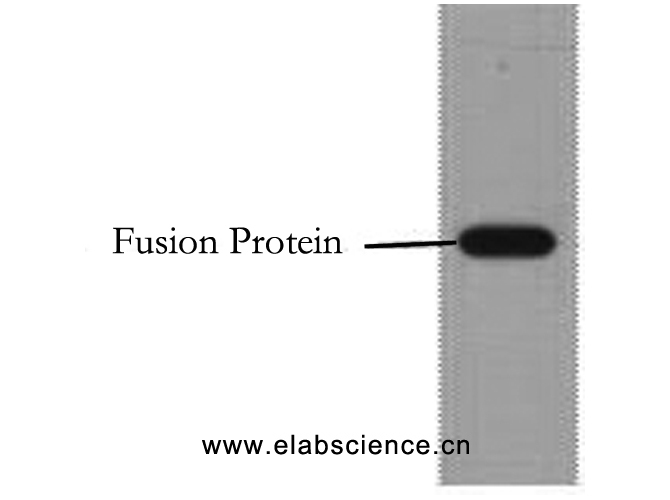 Western Blot analysis of 2ug His fusion protein using His-Tag Monoclonal Antibody at dilution of 1) 1:5000 2) 1:10000. Immunofluorescence analysis of 293 cells transfected with a His tag protein tissue using His-Tag Monoclonal Antibody at dilution of 1:1000. 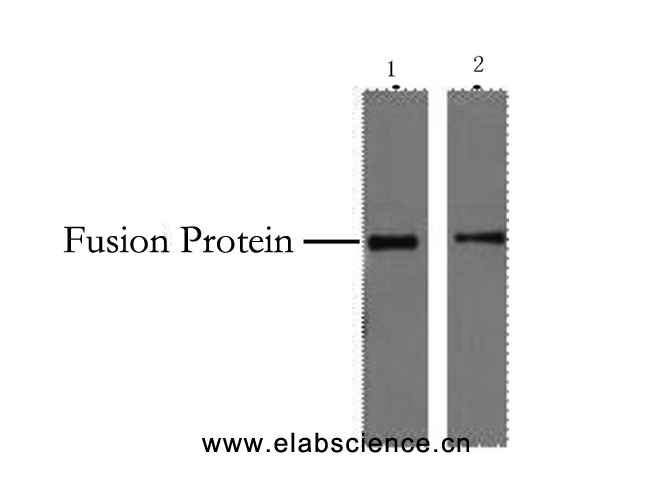 Western Blot analysis of 0.5ug HA fusion protein using HA-Tag Monoclonal Antibody at dilution of 1:10000. 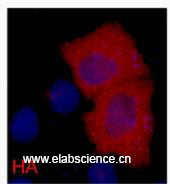 Immunofluorescence analysis of 293 cells transfected with a HA tag protein tissue using HA-Tag Monoclonal Antibody at dilution of 1:2000. 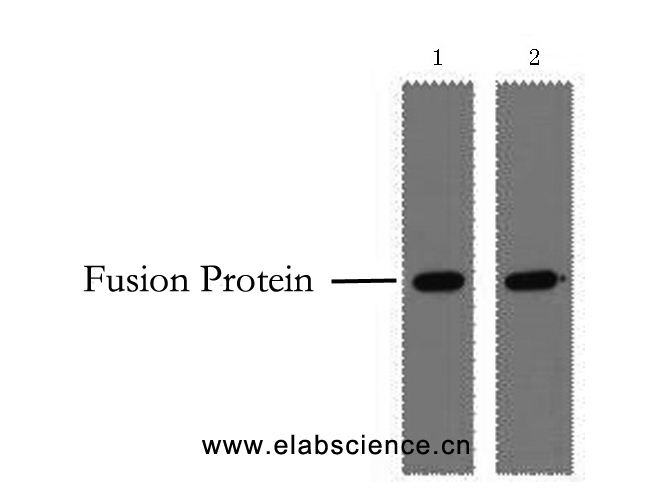 Western Blot analysis of 1ug Flag fusion protein using Flag-Tag Monoclonal Antibody at dilution of 1:10000. Immunofluorescence analysis of 293 cells transfected with a Flag tag protein tissue using Flag-Tag Monoclonal Antibody at dilution of 1:2000. 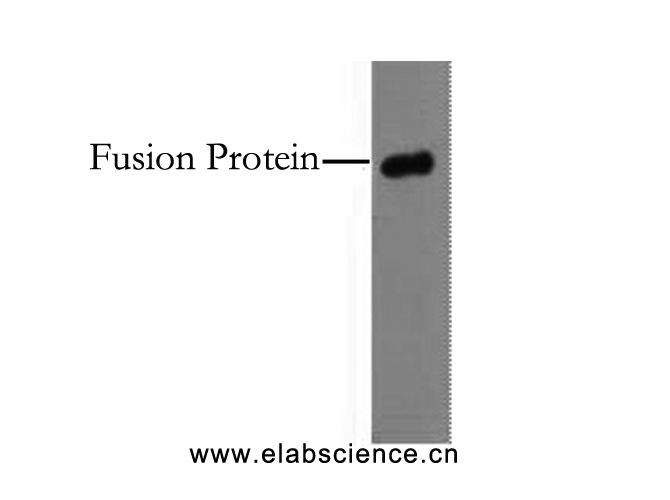 Western Blot analysis of 0.5ug GST fusion protein using GST-Tag Monoclonal Antibody at dilution of 1) 1:5000 2) 1:10000. 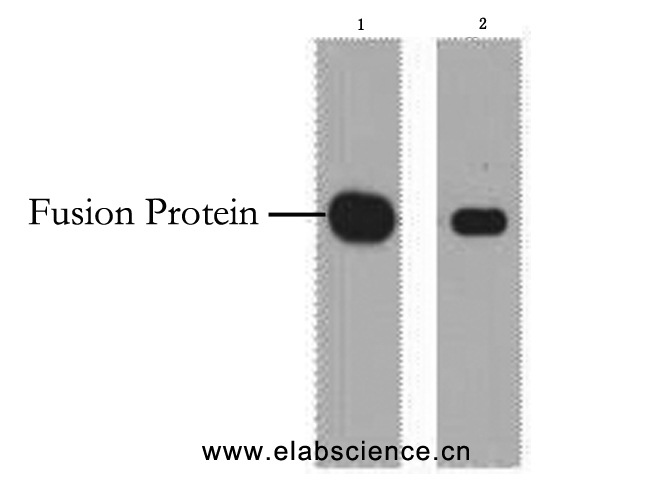 Western Blot analysis of GFP transfected Hela cells using GFP Monoclonal Antibody at dilution of 1) 1:5000 2) 1:10000.